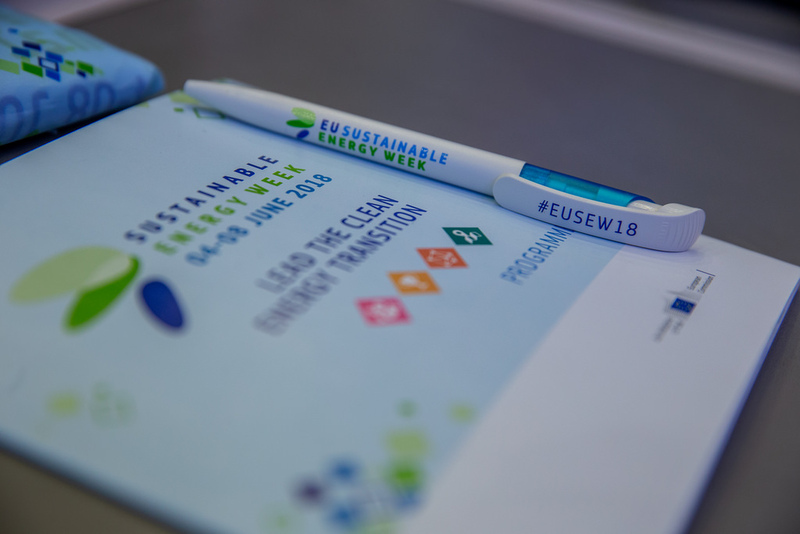 With over 60 sessions and 2,500 participants, the annual EU Sustainable Energy Week (EUSEW) came to an end on 8 June. This year the different sessions focused on how the EU can lead the clean energy transition in the 21st century. EUSEW came at a crucial political moment towards the end of negotiations for the Clean Energy Package for all Europeans. EUSEW opened on Tuesday, 5 June with innovative examples of technology and projects leading the way and celebrated the 5 award winners at the EU Sustainable Energy Awards Ceremony hosted by the European Commissioner for Climate Action and Energy, Miguel Arias Cañete. 12 projects across 4 categories (Consumers, Public Sector, Young Energy Leaders and Businesses) made it onto the Awards shortlist this year. The Citizens’ Award was also presented to one of the 12 nominees, voted for by the public in the weeks leading up to EUSEW 2018. Participants -public authorities, private companies, NGOs, consumers- were able to exchange best practices and listen to high-level speakers, throughout the week’s activities, which included a policy conference, a networking village, and a motivational debate with Ambassadors on becoming an advocate for accelerating the clean energy transition. The Energy Lab - new this year - proved to be very successful with 9 projects pitching in front of an expert panel of judges. While the high-level event is now over, EUSEW continues with Energy Days throughout Europe. More information here. With the hope that EU Sustainable Energy Week 2018 has left the participants with food for thought, our colleagues are already busy preparing next year’s event. Start pitching ideas! The annual EU Sustainable Energy Week (EUSEW) takes place between 4-8 June 2018.